Azerbaijan Institute of Manuscripts named after Muhammad Fuzuli has received a copy of the manuscript collection of poems by the Ottoman poets. The deputy director of the Institute, Doctor of Philology Pasha Karimov has published a copy of the manuscript in the Parliamentary Library of Tehran, Trend Life reported. The 133-page collection includes poems by the Ottoman poets of 16th-17th centuries, including the great Azerbaijani poets Muhammad Fuzuli, Khayali, Baqi, Nami, Zati, Fegani, Hudayi, Heyrati, Ruhi and other poets. The article once again proves that Fuzuli's poetry has a significant impact on the Ottoman literature. Since ancient times Azerbaijan continuously bestowed talented writers, poets, musicians and scientific figures to the world. Azerbaijani poets and writers produced works of the highest quality. The name of the outstanding poet, thinker, translator and one of the creators of the literary Azerbaijani language Muhammad Fuzuli has always entered the history of the county. The poet created fine examples of Azerbaijani poetry in his native language after Nasimi. One of the most prominent figures in today's diwan poetry is generally believed that he was born around in 1495 or 1498 in Kerbela, Iraq. Fuzuli is believed to belong to Bayat tribe, one of the Turkic Oghuz tribes. He wrote poetry and philosophical works in Azerbaijani, Persian and Arabic languages. 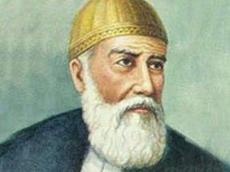 Fuzuli began writing poetry at an early age, composing sometime around his twentieth year the important masnavi entitled Beng ü Bâde (Hashish and Wine), in which he compared the Ottoman Sultan Bayezid II to hashish and the Safavid shah Ismail I to wine, much to the advantage of the latter. In 1534, the Ottoman sultan Suleyman I conquered the region of Baghdad, where Fuzuli lived, from the Safavid Empire. The poet now had the chance to become a court poet under the Ottoman patronage system. He composed a number of poems in praise of the sultan, and as a result, he was granted a stipend. Nevertheless, the Ottoman Empire gave Fuzuli a modest salary. Therefore he citicized bureaucracy in one of his best-known works, the letter "?ikâyetnâme" (Complaint). His poetic expressions are characterized by sincerity, passion and melancholy. Fuzuli's famous work “Leyli and Majnun” became the subject of the first Middle Eastern opera. “Leyli and Majnun” is tragic love story, in which the male character Majnun (literally meaning "crazy" in Arabic) goes mad because he cannot be with his beloved Leyli. This poem is considered the pinnacle of poet's creativity. Based on the poem, in 1907 Uzeyir Hajibeyli wrote the first Azerbaijani Opera “Leyli and Majnun”. Legendary poet died during a plague outbreak in 1556, in Karbala, either of the plague itself or of cholera.